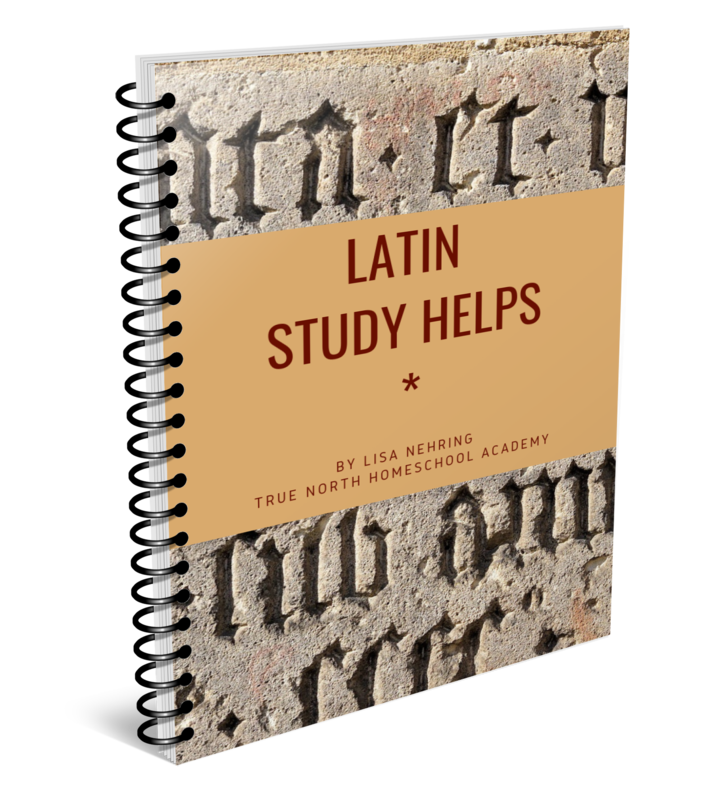 Latin Study Helps will allow your beginning Latin study to master Noun and Verb attributes, Tenses, Cases and English to Latin Grammar. This small, but excellent book covers important language study material, presented in a way not found any where else. In this short booklet you will find 5 charts that will help you as you study Latin and other Foreign Languages. You will also find charts with headings on them as prompts and then charts that are completely blank so you can fill them in entirely from memory. These charts are perfect for using with any Latin, or foreign language program. Memorize these charts and you will be on your way to becoming a excellent student of language! Suitable for students 8 through adult. this booklet will allow your student to learn and understand foundational concepts quickly and easily. Downloadable PDF. If using in a co-op or academic setting, each student must purchase an individual copy. My daughter is in First Form Latin with True North Homeschool Academy right now and these charts are a great visual of how things connect. I also like that there are different levels of blanks in the charts so that the students can start memorizing and continue moving to mastery with a completely blank chart to fill in. I will know what my daughter knows and to what degree.